Yes, bad things happen. Even terrorism. But it happens abroad as well as at home. Should you visit a country that has had a terrorist attack? While I would be cautious about visiting a country in an all out war, random acts of terrorism do not curtail my travel. I was in Paris and NYC shortly after their attacks, and later in Bali. I decided to go to Tunisia after the attack on the Bardo Museum. And I’m so glad I did. Me on the beach in Hammamet, with a dromedary (camels have 2 humps!). Photo by the nice owner of the dromedary. Destinations that have experienced terrorism desperately need tourism to keep their economies alive. Strong economies tend to bring political moderation and make it more difficult for people to want or need to turn to extremism. There is truth to the saying “don’t let the terrorists win”. Plus by avoiding countries where something bad has happened, you will miss out on some truly great things. Like what I experienced in Tunisia. 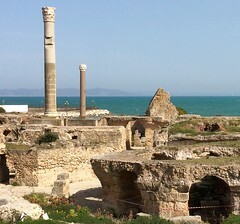 Here’s my article about some of the highlights I saw: Yes, you should visit Tunisia. 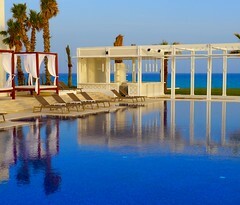 It’s just a small taste of what Tunisia has to offer.